Description: Cinematic aerial shot over wooded city park. 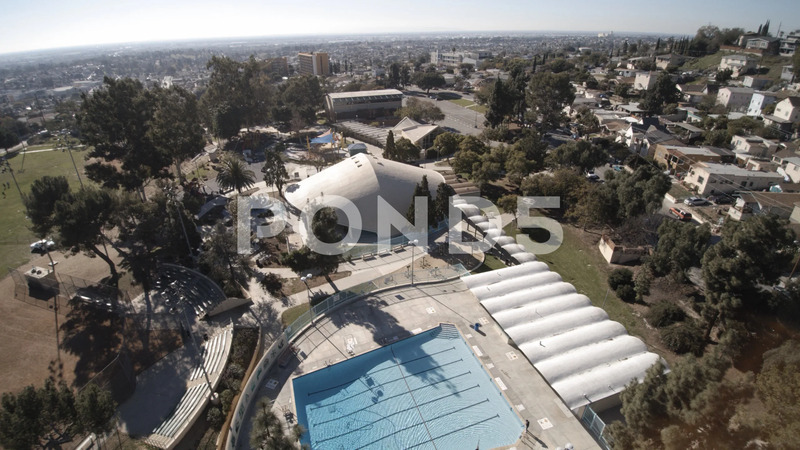 Camera slowly pulls back over municipal pool and park facilities. Very dramatic.